Maybe it’s the current political atmosphere, or maybe it’s just a coincidence, but open racism has shown up in our wider Pagan community, and that warrants a mention of it here. 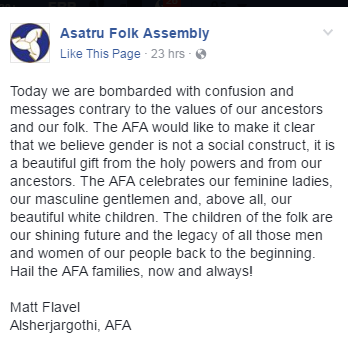 As many have already seen, the Asatru Folk Assembly (AFA) posted racist comments on it’s facebook page. Lupa Greenwolf does a great job covering the main points, so all I’ll add are some additional thoughts below her blog post here. They make it VERY clear their organization isn’t open to anyone who isn’t white–never mind that “white” was a contrived term that not only erased the cultural differences of people from many different European backgrounds but also deepened divisions among people based on skin color. Plus check out the very overt message that QUILTBAG* people aren’t allowed, either. And before you try to defend the AFA as only being about the promotion of European heathen traditions, notice how the comment about “Semite” “poison and tricks” was never deleted, while comments that the AFA folks didn’t agree with have been getting removed within minutes. If that’s not approval of white supremacy, I don’t know what is. There is nothing wrong with wanting to practice the religion of your pre-Christian ancestors. But “white people” are not an endangered species in need of protection, nor should European paganisms be closed off from people of non-European heritage. Considering the amount of travel and trade the Norse and other Europeans did with other communities for centuries, there was plenty of intermarriage with non-European people anyway, so there goes your notion of historical “racial purity”. And given that a lot of heathens practice ancestor veneration, racial purity is a pretty big insult to those non-white ancestors and the people who loved/married/etc. them and considered them family(1). As to the insistence on men being men and women being women in a heteronormative framework, the All-Father Odin practiced the women’s art seidr, Loki became a mare and gave birth to a colt, and women were often trained to fight alongside men. Even among the Norse things were not always that cut and dried when it came to gender roles. 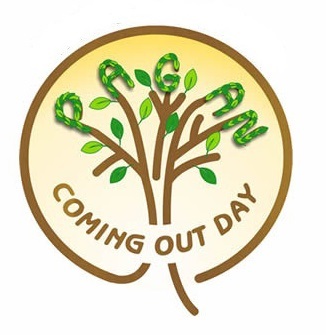 We pagans have known for decades there were bigots in our ranks, particularly those espousing “folkish” viewpoints–and now there’s absolutely no doubt whatsoever. Not all heathens consider themselves part of the pagan community (and definitely not all of them are racists! 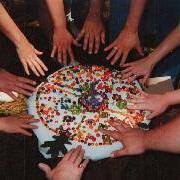 ), but enough heathens of all sorts come to pagan events and otherwise share in pagan spaces that this declaration by the leadership of one heathen organization is relevant to paganism as a whole. As someone who has walked a pagan path for twenty years, as someone who has written multiple books and led rituals and taught many in workshops and classes, as someone who is seen by some as at least a minor authority, and as someone who fully intends to continue being a part of the pagan community, I say: the stance of the Asatru Folk Assembly is not a part of my paganism. White supremacy spewing hatred and racist fearmongering against racial and ethnic minorities? Not in my paganism. Discrimination against QUILTBAG people? Not in my paganism. Gender essentialism (2) in which men must be one way and women must be another? Not in my paganism. Insisting that the only “real” family is the nuclear, heterosexually-based family while all others–blended families, single parent families, childless families, families with gay parents–are invalid?Not in my paganism. Allowing the bigotry that pervades the dominant culture to infiltrate our community without a fight? Not in my paganism. Not in my paganism. Not in my paganism. #notinmypaganism. Lupa Greenwolf’s original post is here. As a scientist (heck, as a human being), the plain falsehoods coming from the white supremacists irk me. (1) The whole argument of many white supremacists often rests on the broken foundational idea that anyone is “pure” white by Ancestry. Consider your Ancestors. You have two parents, who each have two parents (that’s four grandparents), 8 grandparents, 16 great-grandparents, 32, 64, 128, 256, 512, 1024, and so on. At about 25 years per generation, that means that just a few centuries ago, over 1,000 people were alive wh o are your Ancestors. Now, did every single one of them look white? Maybe. It’s hard to know, and it depends on the countries your Ancestors are from. However, the evidence below shows that even if every single one of those 1000 looked white, you still have non-white Ancestors. Why? Because they too had Ancestors, and people moved, even back then. Commerce between Asia, Africa and Europe has been going on for at least 100,000 years (!). “Commerce” isn’t just trading goods – we all know that contact between people leads to matings. You can see that in the above example, only a few centuries were needed to get more than 1,000 Ancestors. The same math shows that at just 500 years ago, you have around a million Ancestors. So each of those 1,000 Ancestors of yours also had 1,000 Ancestors before that. People move, mate, and migrate, and so all of us have Ancestors of all races, regardless of what race we are ourselves. And that’s not even considering the impact of war – both in producing refugees who travel, as well as mixing people in the warring regions. This is why hundreds of millions of people in Europe, Asia, and the Middle East are descendants of Genghis Khan. This same mathematical modeling shows us two astounding facts if taken a bit further back. First of all, notice that any two people alive today, will share an Ancestor not too far back, because going backwards in time, both their Ancestor “trees” become enormous quickly, making an overlap (a common Ancestor, or concestor) inevitable. This can be done for 3 people, or 4 people, or even the entire living population of humans. Doing so gives us the most recent common Ancestor (MRCA) of all of us. Probabilistic estimates place this person only 5 to 7 thousand years into the past, depending on the parameters used. On a side note, this also means that anyone alive today, who has a few kids or grandkids, is likely to be the Ancestor of every living human on Earth within a few thousand years. Wow!! Secondly, you may already have noticed that a geometric increase like this, going back in time, will make the number of your Ancestors quickly exceed the world’s population at the time. How can this be? Because Ancestors are being “counted” twice or more. For example, a given Ancestor is your father’s, father’s, mother’s, father’s, father’s, father’s, mother’s, mother’s, mother – and also your mother’s, father’s, father’s, mother’s, father’s, mother’s, mother’s, mother’s, father’s, mother. This is called “pedigree collapse“. Coupled with the MRCA point above, it means that only a little time before the MRCA, we pass the “Identical Ancestors Point” (IAP), the time when everyone alive is either the Ancestor of everyone alive today, or the Ancestor of no one alive today (because some people are childless or otherwise leave no descendants). The IAP is likely only a few thousand years before the MRCA, probably around 7 to 9,00 years ago. The human species is thus a constantly mixing population, and has been for a long time. In fact, my DNA itself shows recent African on chromosomes 2 and 15. These facts alone mean that anyone claiming “racial purity” is either ignorant of scientific and historical reality, or is claiming an impossibly high level of inbreeding over at least thousands of years! (Or is simply a reality denier). Plus, one ca n consider those most recent non-white Ancestors of each AFA member, and remember that each of *them* has thousands, millions of Ancestors too, most of whom are of course non-white. So not only does each AFA member have some non-white Ancestors, they literally each have millions of non-white Ancestors!! And that’s even before going back to the common African Ancestry of all of us, back when our human family ventured out of Africa, some 50 to 150,000 years ago – when all of us have millions of non-white Ancestors. And indeed, we can extend this to our entire family tree, showing all our Ancestors, back to single cells and before. All life on Earth is one family – as many of us Pagans already know. I celebrate my Ancestors – including those who are not human. The fact that all of us humans are connected on the same family tree destroys the illusion of a fundamental racial difference, making us all family, which brings me to point #2. (2). So many cases of hatred and oppression stem from essentialism- the idea that some of us are fundamentally, essentially different – to the point of have a different “kind” of flesh, of substance, of mind. Mixing and “boundary” crossing are deeply offensive to essentialism, because they challenge it’s very basis (here I’m referring to racial and gender essentialism). When one sees men and women as essentially different, the idea of gays, lesbians, and transgender people is a challenge. When one sees whites and non-whites as essentially different, the idea of our common, mixed race Ancestry is a challenge. It is only in essentialism that the “one drop rule” makes any sense at all. Thus, essentialism is simply reality denial, and it joins the other forms of reality denial (creationism, anti-vaxxism, climate-change denial, holocaust denial, and more), in hurting people today and in the future. I’m glad to join with Lupa and others in denouncing the anti-scientific, reality denying, harmful racist views of the AFA. I won’t say they aren’t Pagan, but I will say that I hope we, as Pagans, can move past their harmful views toward a better word for everyone, with recognition that we are all of mixed race. I’m white and privileged, and I’m proud to count Africans, Asians, and so many colors of wonderful human beings among my Ancestors, whom I thank every day. Lupa is an author, artist, and neoshaman living in Portland, OR. She earned her Master’s degree in counseling psychology in 2011, with a specific focus on ecopsychology, as a way to integrate the healing and intermediary work of shamanism with a broader cultural and humanistic framework. When she isn’t engaged in creative chaos in her studio, Lupa may be found hiding out in the Columbia River Gorge. Otherwise, she’s online at http://www.thegreenwolf.com and http://therioshamanism.com. Dr. Jon Cleland Host is a scientist who earned his PhD in materials science at Northwestern University & has conducted research at Hemlock Semiconductor and Dow Corning since 1997. He holds eight patents and has authored over three dozen internal scientific papers and eleven papers for peer-reviewed scientific journals, including the journal Nature. He has taught classes on biology, math, chemistry, physics and general science at Delta College and Saginaw Valley State University. Jon grew up near Pontiac, and has been building a reality-based spirituality for over 30 years, first as a Catholic and now as a Unitarian Universalist, including collaborating with Michael Dowd and Connie Barlow to spread the awe and wonder of the Great Story of our Universe (see www.thegreatstory.org, and the blog at evolutionarytimes.org). Jon’s youtube channel, with videos about DNA, spirituality, and more, is here. Jon and his wife have four sons, whom they embrace within a Universe-centered, Pagan, family spirituality. He currently moderates the yahoo group Naturalistic Paganism and maintains a hub page for Naturalistic Paganism. Jon is also a regular columnist here at HP. His column is called Starstuff, Contemplating. Racism is not acceptable. Ever.